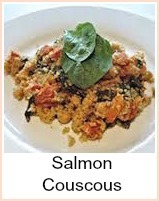 This is one of my favourite canned salmon recipes. A really trusty standby for days when I haven't had time to shop. You would generally have most of these things in your store cupboard and so it's a good standby for days when you haven't had time to shop. You can use this mixture to make fishcakes, just shape the mixture into rounds, then flatten them. Dip into the egg and seasoned flour, then fry them in oil for about 5 minutes either side - get them crispy and hot all the way through. The spicy dip would work with the fish cakes just as well. 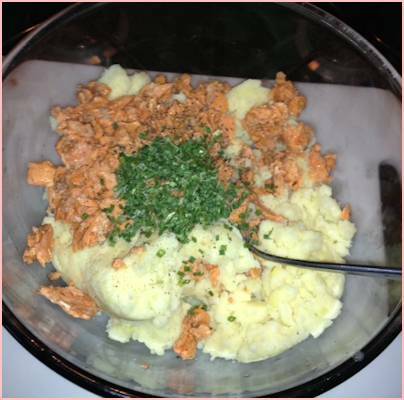 Mix the sauce ingredients together - this will allow the flavours to combine - chill whilst you prepare the salmon balls. Make up the potato with the boiling water and stir in the egg. Add the salmon, onion and worcester sauce and mix together well - leave to chill for about 20 minutes. Divide mixture into 20 and shape into balls. Dip each ball into the egg and flour making sure they are thoroughly coated. Fry for about 3 minutes in really hot oil. Serve piping hot with a side of peas and bread and butter. 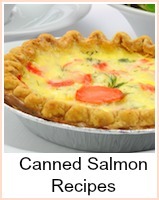 Canned Salmon is exceptionally good value. It's succulent, never dry and you can't spoil it! It's great as a standby - if you're trying to shop ahead for the holidays, put some stuff by as 'emergency' supplies or just on a day when you've not had time to shop. This recipe makes great fish cakes - you could also put it into an oven dish, sprinkle cheese over and bake it - serve with some cooked peas. Canned salmon is a great standby for when you've got not much time to get food ready. 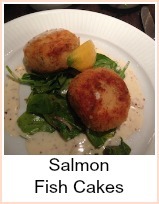 These crispy salmon bites are tasty and quick to prepare - the mixture will make fish cakes or a fish pie if you prefer.